VIDEO: Logan Interviews with Hugh Jackman, screenwriter Michael Green, and more! Midtown Comics attended the Logan red carpet here in NYC! With a mic in Gregg’s hand and John controlling the video camera, the Dynamic Duo were able to interview multiple people at the star-studded event! Watch the video above for conversations with actor Hugh Jackman, screenwriter Michael Green, producer Hutch Parker, actress Elise Neal, and actors James Moses Black and Richard E. Grant! They’re spoiler-free! CONTEST: Attend a LOGAN Special Red Carpet Screening in NYC! Director James Mangold’s hugely anticipated Wolverine movie, Logan, is almost here! We’re anxious to watch Hugh Jackman’s performance as the brutal X-Man and the cinematic debut of X-23, but now you – yes, you – have the chance to see it EARLY in New York! There’s going to be a special red carpet screening of the film on February 24th (Friday), and we’ve joined forces with 20th Century Fox to give some very lucky X-Men fans the chance to attend this star-studded event! Want to get a seat? Read the easy rules below, bub. The third Wolverine solo movie, Logan, is almost in theaters! There’s a lot of reasons to get excited – like the cinematic debut of X-23 and the R rating – and you can bet we’re pretty much counting down the days until we can watch Hugh Jackman unleash as the adamantium clawed X-Man. 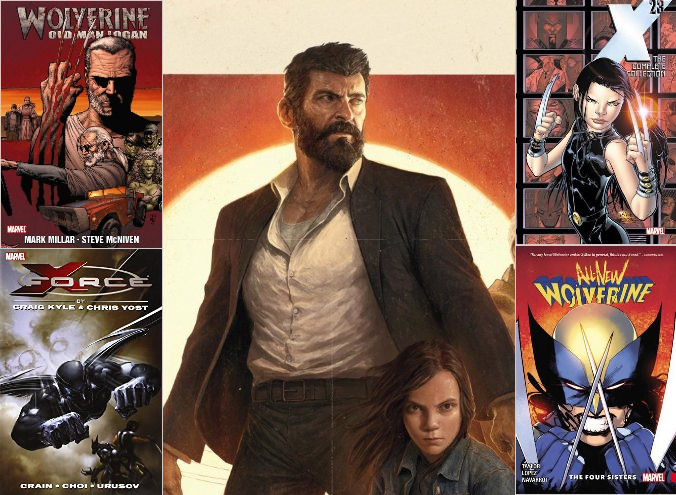 In the meantime, let’s prepare for the movie by reading some comics that Logan appears to be loosely inspired by, and other comics that just might one day serve as inspiration for an X-23 movie! Midtown Comics Podcast Episode 121: DC Rebirth raffle winner, two interviews, and a new raffle! Find out who won our big DC Rebirth raffle, plus an interview with Charles Soule (Curse Words, Daredevil) and info on how to win a signed issue of Curse Words #1, an interview with All-New Wolverine artist Nik Virella, plus chats about Black Adam, Logan, and Power Rangers, and Top Picks! Happy new comic book day, everyone! John and Gregg take a look at all of the new releases that this week has to offer, and they give you a preview of a lot of issues, too!